Not all tractors are created equal and the same goes for brush control implements. Some implements will work with skid steers and small to medium duty tractors and others require a bigger machine to operate. The equipment you use will depend greatly on your goals and the size of your tractor, loader or skid steer. For instance, fire brake clearance calls for less formal grooming than you would need to prepare a greenfield area to take a crop or build a structure. The most common approach to brush removal--especially in erosion-prone areas--is to chop it down. For smooth terrain, where the brush isn't too tall, the hands-down favorite is the brush hog--also called a rotary mower or brush cutter--which is essentially a high-powered version of a lawn mower. If your terrain is too steep or rocky for a conventional mower, you can obtain a boom mower--a type of brush hog that is mounted on a hydraulic arm. Flail mowers, which rotate multiple small "knives" at a high rate of speed, can also be mounted on a boom and are less likely to throw debris or break when striking rocks. Hydraulic tree shears and brush saws can be used more surgically to cut select individual trees and bushes off at the trunk. Sickle mowers are nifty on medium to light brush on extreme slopes, as many can be positioned to mow at an angle to the tractor's stance. Grubbers, stump grapplers and root grapplers simply drag woody plants out by the roots and there are also bulldozer blades, backhoes and scrapers available for various sizes of tractors. You can also use heavy duty chains to pull out trees and bushes with tractor power and root rakes to ensure that the roots are pulled out. Air quality and safety concerns have made it increasingly difficult in many regions to get burn permits for brush disposal. You can't very well just pile it up in your backyard, so the availability of implements to deal with post-clearance debris has grown in recent years. Chief among these are tractor-powered chippers and mulchers. You can also get a really big version of the chipper, called a stump grinder. When you chip your brush, rather than burn it, you have the advantage of being able to mulch plant materials back onto your land for water retention, erosion protection or to improve soil fertility. Most of the muscular types of attachments require a three-point PTO hitch or a front-end loader to operate. 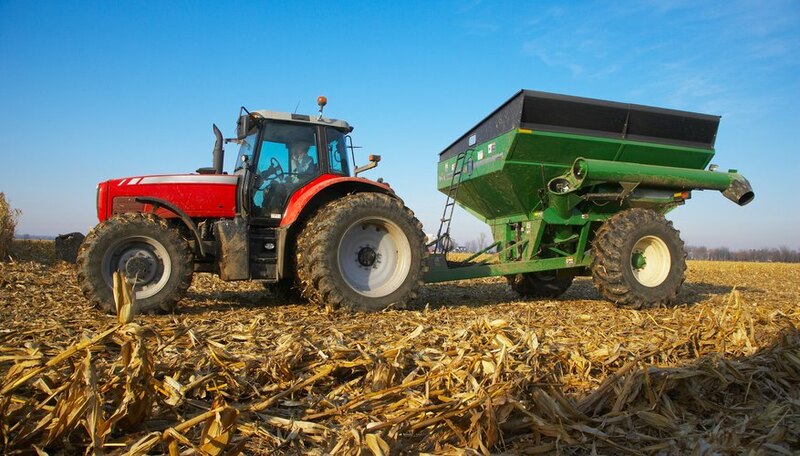 Most of the commonly used types of attachments come in varying sizes for different sized tractors. Don't try to run a too large or too small attachment on your tractor. The former will ruin your tractor and the tractor will ruin the latter. Not all brush removal requires mechanical means. Various chemicals can be used to suppress or kill unwanted brush and weeds. These can be applied by hand sprayers for small or select applications, or by mechanical sprayers carried on your tractor or pulled behind it. Powerful brush attachments are expensive to buy, even used. If you only need annual or biennial clearing, consider renting rather than buying.